• Perfect for a professional individually typed look on light coloured material. 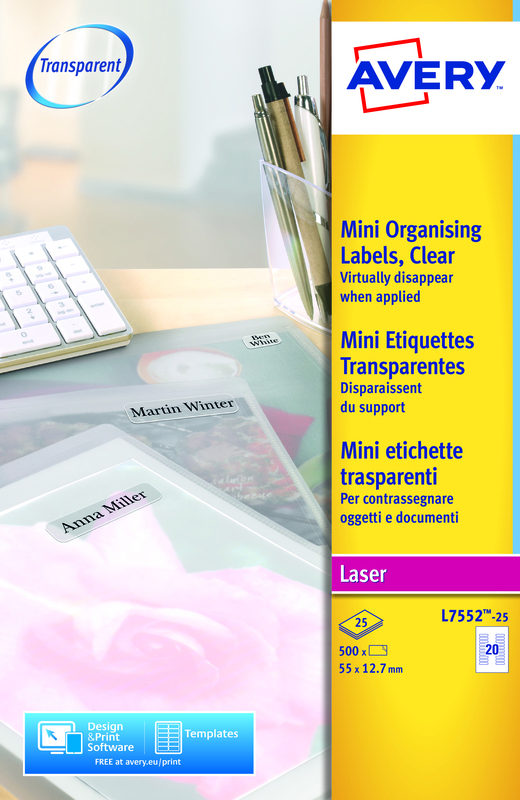 Avery Mini Laser Labels are transparent, meaning that if you place them on a white or light coloured background they practically disappear. 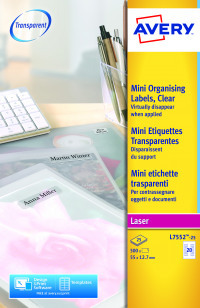 This creates the impression that they have been printed on individually and leads to a textured and professional label. Avery labels guarantee clarity of print that always leads to excellent quality, with their labels being compatible with a number of laser printers and also common office software, such as Microsoft Word.